Be at the Gabba this Saturday for our last open training session of the season! Watch the team's Captain's Run and grab photos and signatures from the players post-training. Entry is through Gate 2 at the Gabba. Parking is available across the road at the Coles complex on Gibbon Street, Woolloongabba. Please do not park at Gate 2 as this area is strictly for Queensland Sports Medicine customers. 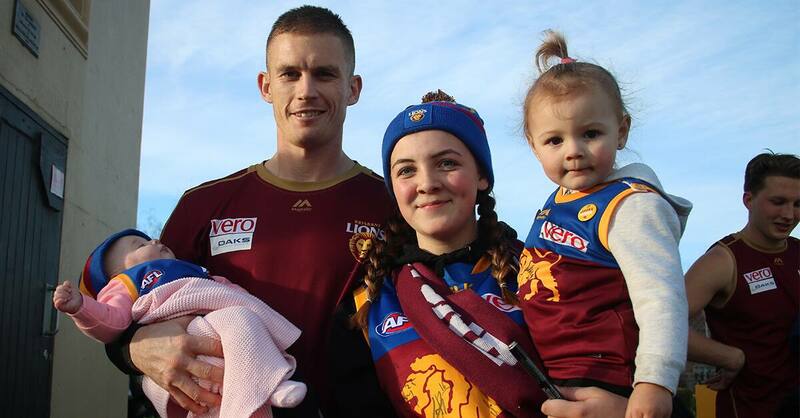 The Lions Shop will be open at Gate 2, with plenty of merchandise available for all ages! The huge Clear the Den sale is still going, so stop by to grab yourself a bargain. If you spend over $200 you will also go into the draw to win $1000 worth of Oaks Hotels and Resorts vouchers. Toilet facilities will be open at the Gabba. There will be no food or beverage outlets open. Entry to the Gabba playing surface is not permitted before, during or after open training.